New, custom traditional home designed and built by M&M Custom Homes--to be completed Spring 2018. Located on a private cul-de-sac lane. The home features sleek architectural details, four bedrooms, four full bathrooms, and one powder room. The spacious traditional offers contemporary style mixed with classic architecture, modern functionality, and fine materials. A two-story foyer opens to an open concept floor plan including living room, family room with fireplace, breakfast area, kitchen, and formal dining room. 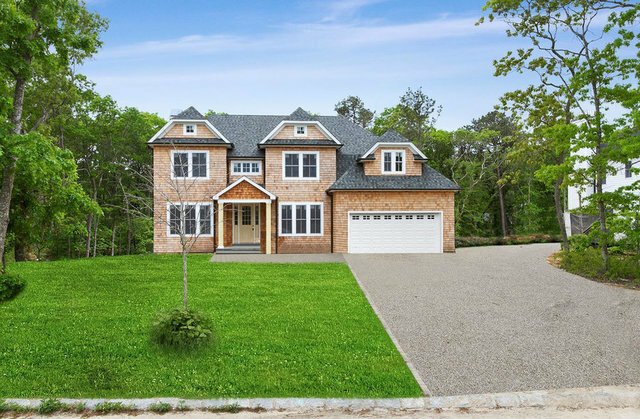 Features include Andersen windows, country grade 4" white oak flooring, stone countertops in the kitchen and bathrooms, and two-zone gas heating and central air conditioning. The gourmet kitchen includes top-of-the-line appliances, is spacious, features a butler's pantry leading to the dining room, and mud room leading out to the two-car garage. Optional features include: finished lower level with guest accommodations, play room, media room, and lots of storage. Gunite swimming pool, as well as a host of other optional amenities available upon request.